Holy month of Ramadan is passing quickly.. Its hard to believe that its ending in a few days now! 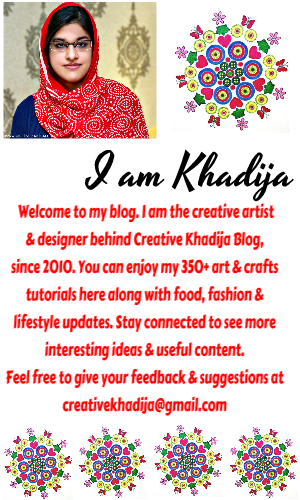 Very quick..Well my Ramadan days were going great & I had great time Alhamdulillah. Now Eid is around the corner.. Yeah..the Eid festival is like a gift to us after fasting for the whole month. Now many blessings are waiting for us at Eid Day! Eating, Outing, Family gathering & so much more.. and before all these, Shopping too..!! 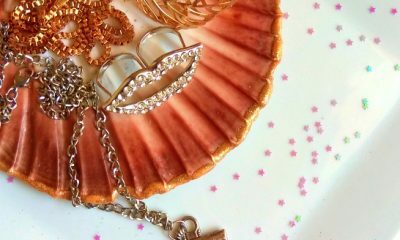 Do you remember I get some beautiful gifts from Singapore a couple months back? 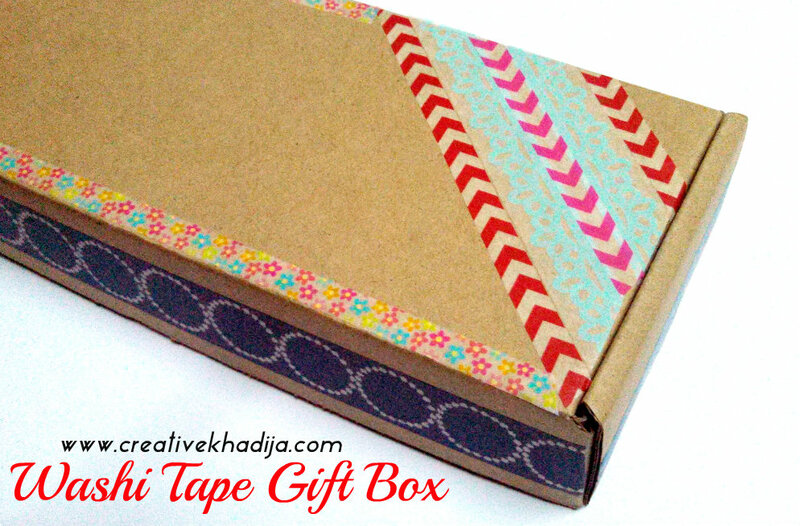 So here I use the same washi tape for designing the simple plain box..very easy and really looking good! 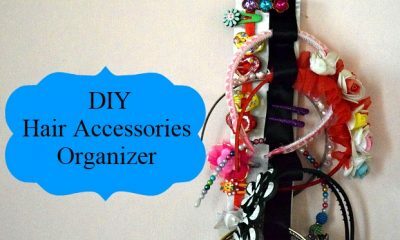 All you need to have is just a few rolls of colorful tape and scissors.. and its done! I didn’t fill the whole box cap with colorful tapes, I thought it would be a mess, on the other hand I have to write some wishes on the box along with my friend’s details/address etc.. so I left the empty place more.. 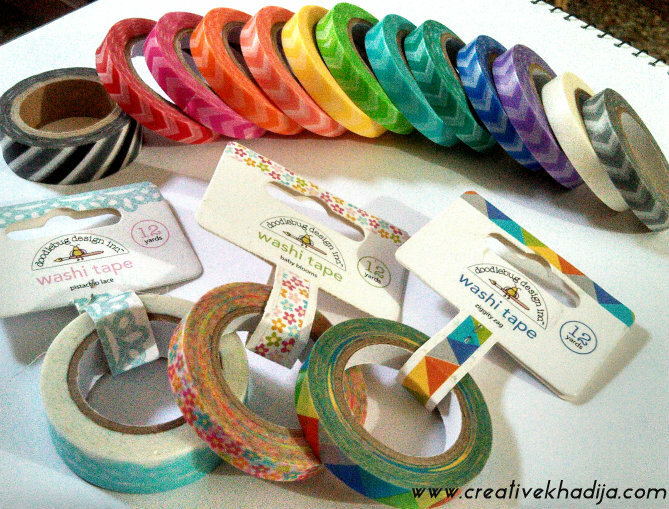 These were the pretty washi tape rolls I have got from Singapore..so pretty and colorful..I am using these at many projects on & off..always pretty and good! 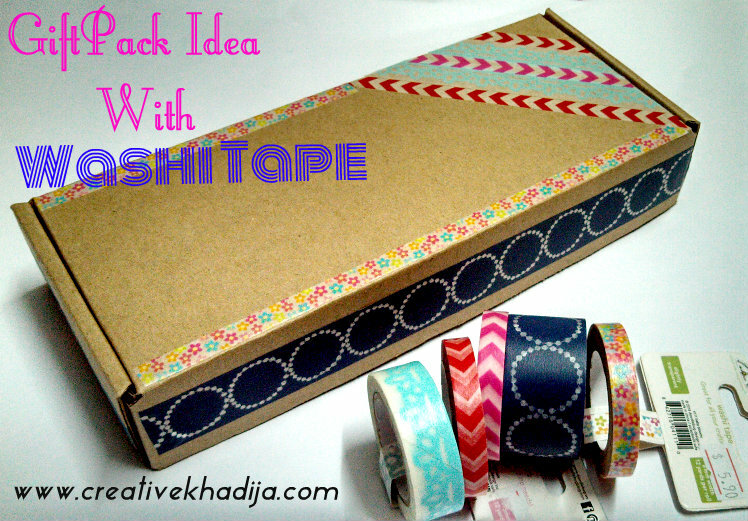 Washi Tape crafts are always fun & quick too.. you can make things more pretty with a little bit of its usage..I am going to use these tapes for many crafty things & they look really cute and crafty. 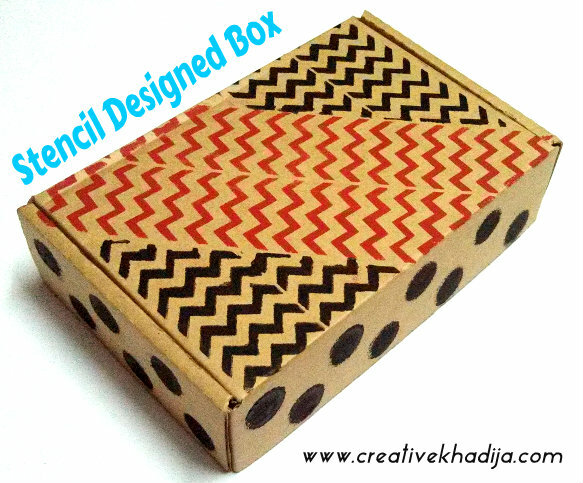 I hope you will like it.. my this idea is a part of reuse/recycle as well..gifting stuff is good but its more good when the person is happy to have a pretty packing as well.. so whenever you are going to pack stuff, be sure to design with creative cells & smartly! 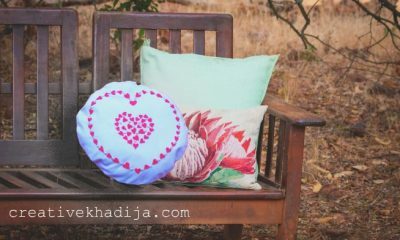 Have a great Day Friends..I hope you will like my Recycle & Reuse ideas. Go Green and save this pretty Earth.. The way you mixed the taped is so creative! 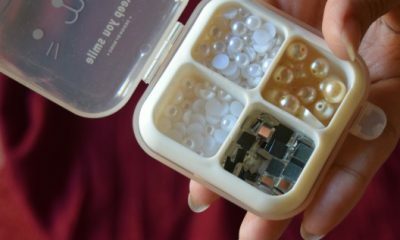 I would love a box like this for storage, too. Great idea! I would love receiving a gift in a box like that. love this and using tape makes in more fun. Thanks for the idea! Thanks for admiring the box! 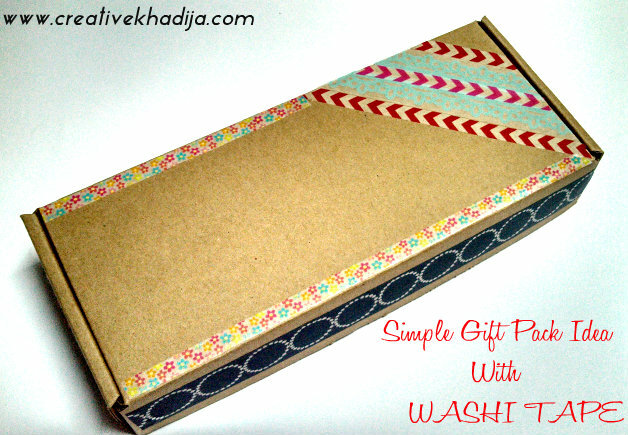 I design for my customers packages as well..
Love the way you used the washi’s . Very creative !! Thank you Dr. Smaha.. good to see you here! I love the way you decorated that box! So pretty!! I’m definitely remembering this for future. Great idea! I have tons of washi tape and could never figure out anything to do with it! Thanks. 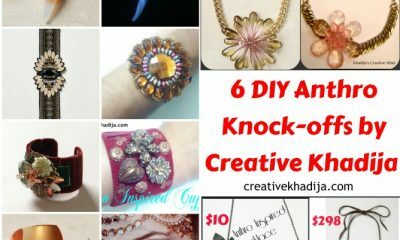 Thanks for joining us for Inspire Me Monday at Create With Joy each week. Thanks a lot for sharing at your party! so nice of you!